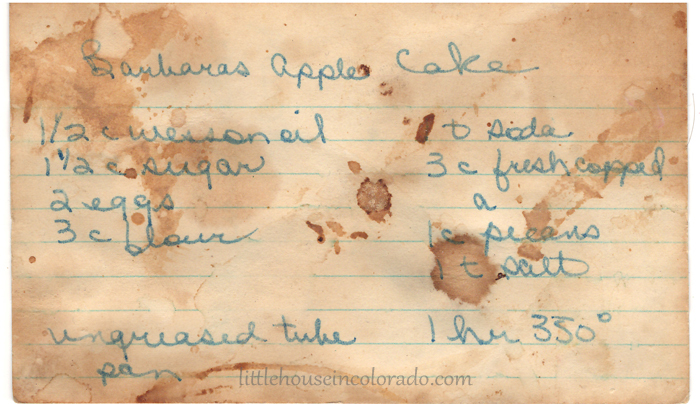 This recipe for Barbara’s Apple Cake was handwritten on an index card. It was found in an old large recipe file box. The age of the recipe card is unknown. I suggest letting this cake cool almost completely before trying to turn it out of the pan (I only waited about 10 minutes and a lot of it stuck to the pan bottom). 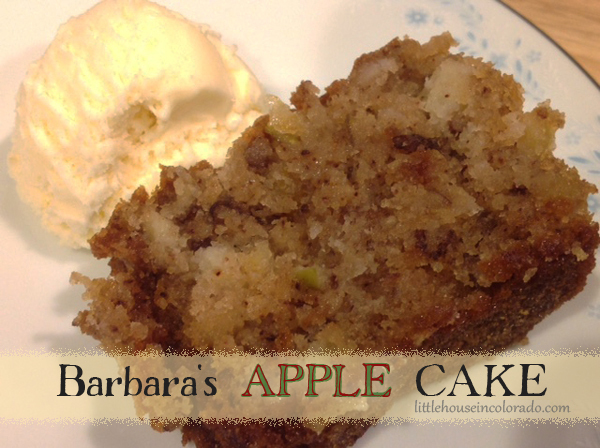 The cake tasted good (better when cold) but was oily tasting. I might try replacing half the oil with applesauce. The pan may need to be sprayed or greased and floured if you try this option. Mix all ingredients together. Bake in an ungreased tube pan at 350 F for 1 hour.